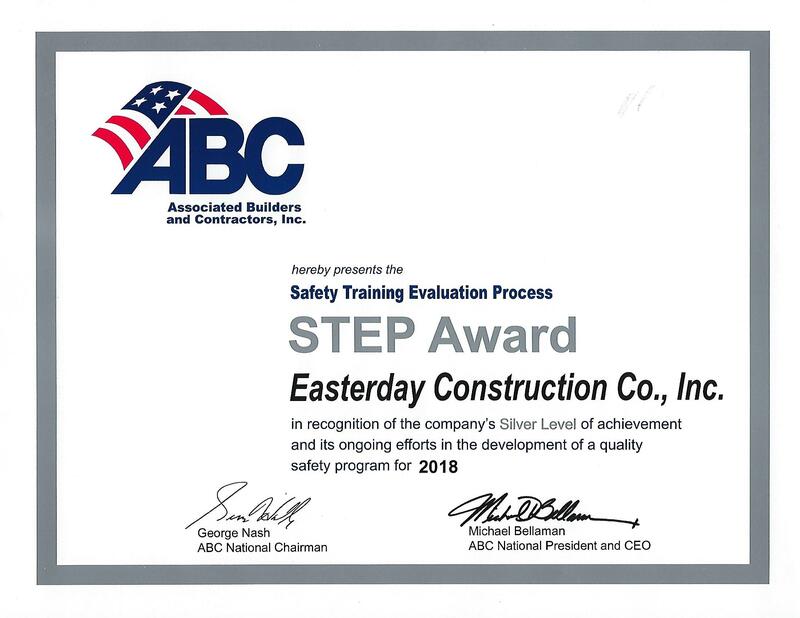 Easterday Construction Co., Inc. participated in the ABC (Associated Builders and Contractors) STEP (Safety Training and Evaluation Process) program again this year and achieved Silver Level status. Thanks to all our employees that made this possible. 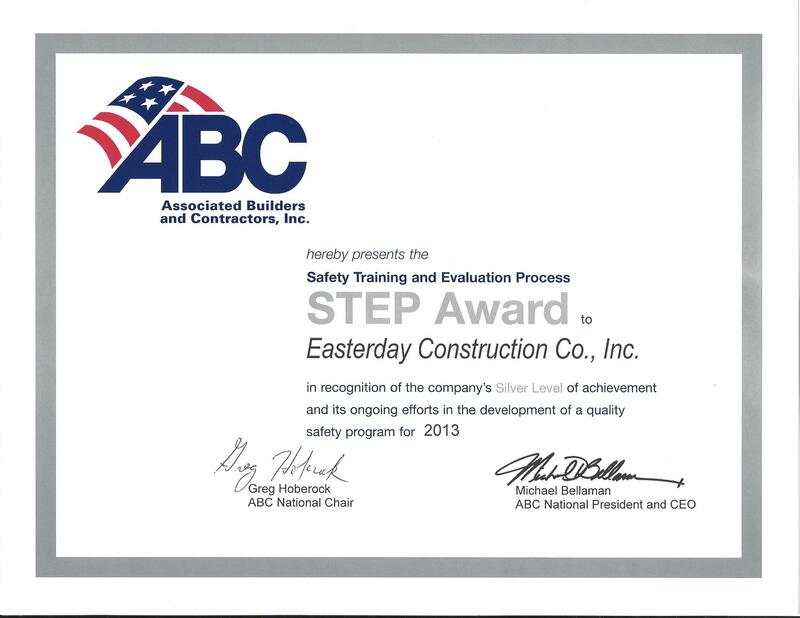 Easterday Construction Co., Inc. participated in the ABC (Associated Builders and Contractors) STEP (Safety Training and Evaluation Process) program this year and achieved Silver Level status. Thanks to all our employees that made this possible. Once again Easterday Construction Co., Inc. achieved the Silver Level of achievement in Safety Training and Evaluation Process (STEP). We’re proud of our crew for this achievement and will continue a culture of Safety First to protect our employees, clients and others that might visit our sites. I will be discussing adding a Knox Box (or two) to the Culver Union Township Public Library (CUTPL) building tonight at the library board meeting. This discussion was prompted by one of the board members seeing my previous post regarding Knox Boxes and Culver Garden Court. I’m pleased that others in the community are picking up on this. I still believe this is a positive step forward for our community and can lead to greater safety in emergency situations. Knox Boxes can be installed on commercial, industrial, municipal and residential buildings as well as private residences. When combined with a safety walk-thru to familiarize the emergency personnel, this installation can improve safety for both the occupants and the first responders. It can save emergency repair costs as well! If you’d like a quote on installing a Knox Box in your home or business, please don’t hesitate to call! You can also use the Contact Us page on our website here.